"PEOPLE HELPING PEOPLE FIND AND FOLLOW JESUS"
Our mission is to help people find and follow Jesus. This is a great definition of a disciple of Jesus. It is our desire and comes from a heart of love for God and for people. Prayer every Sunday morning in the upstairs prayer room, 9:45 - 10:15 a.m. Prayer at the church, the 1st & 3rd Sundays of the month, 5:00 p.m. Mom Time, 9:00 - 11:00 on the 1st and 3rd Wednesdays of the month September through May. Open to all moms currently raising children. No cost to join and participate. Breakfast and childcare are provided. Connection Group Bible Studies in various homes, Monday and Wednesdays at 6:30 p.m.
Bible Based Recovery study for all who experience addiction of any kind. Friday evenings, 7:00 at the church. Apr. 19 - Good Friday Community Service at our church, 12:05 p.m. 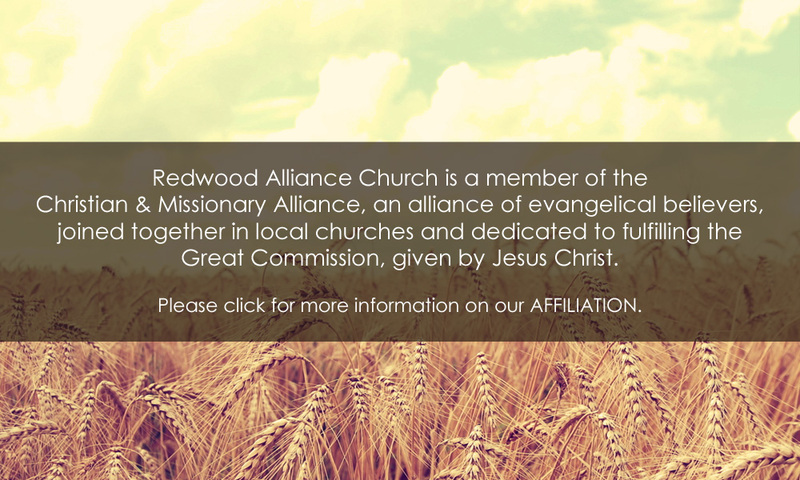 Your support of Redwood Alliance Church enables us to minister to our community and provide a church home for you and others. There are several ways to donate to Redwood Alliance. We offer safe and secure online giving via Tithe.ly. We have a donation box in the back of the sanctuary, or you may mail your donation to Redwood Alliance Church, PO Box 334, Redwood Falls, MN 56283. Thank you! MomTime is for all moms currently raising children of any age. We are a group of moms that come together from various faith backgrounds to share our joys and laughter and to encourage one another in the challenges of life and motherhood. Food, friendship, faith and fun are the core elements of MomTime. To learn more, visit the Mom Time Facebook page HERE, or simply come and see what it's all about!